Home Blepharitis Blepharitis Examination Learn more ! 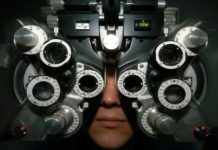 The optometric physician takes several steps in determining the precise diagnosis. 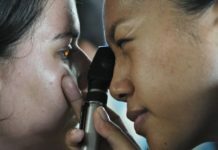 The doctor performs a careful eye blepharitis examination, starting with gross observation of the face. The physician looks for facial redness, papules, pustules, and telangiectasia (dilated small blood vessels), such as those found in rosacea. The doctor will look for any signs of rhinophyma (enlarged nose), particularly if a male patient has rosacea. Rosacea is a common condition affecting approximately 14 percent of women and approximately 6 percent of men. Rosacea can also be found in children, but the signs are subtle and often overlooked. The slit-lamp biomicroscopic exam is imperative, providing various magnifications. Slit-lamp examinations aim to detect any eyelid inflammation and evaluate the width of the palpebral fissure. The doctor will carefully evaluate the lashes for crustiness and madarosis (loss of lashes). 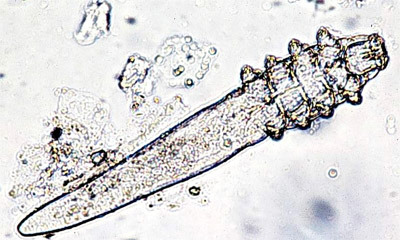 Cylindrical dandruff around the eyelash is associated with Demodex mites, which is linked to blepharitis. 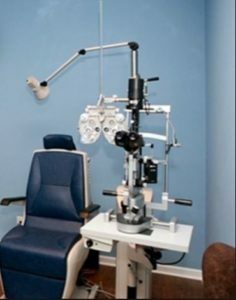 The doctor will examine the cornea, the bulbar and tarsal conjunctiva for signs of scarring, inflammation or infection. The quantity and quality of the patient’s tears must be evaluated, and the doctor must measure the lower tear meniscus height and look for evidence of tear film debris. Instilling fluorescein dye and observation under a cobalt blue light is used in the examination of the conjunctiva and cornea, as well as to measure Tear Film Break-Up Time (TFBUT). The TFBUT measures the interval between the blink and the breakup of the tear film. Appearing as a black streak, spot or blob, the TFBUT indicates the quality of the tear film, as well as the lipid (oily) layer. A TFBUT less than 10 seconds indicates tear film instability and less than five seconds is considered abnormal. Since many blepharitis patients have evaporative and aqueous tear deficiency, artificial tears may improve symptoms when used as an adjunct to eyelid cleansing and medications. 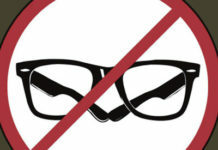 If artificial tears are used more than four times per day, preservative-free tears should be used to avoid toxicity.